Make the most of your groceries. 1. Keep your bread in the freezer, and defrost by the slice as you need it. This hack is the perfect way to keep your sliced bread from going bad in the back of your cupboard. When you need a slice, separate it from the loaf (I use a butter knife for extra leverage if it's exceptionally frozen) then let it thaw in the fridge or pop it straight in the toaster. 2. Keep track of the food you throw away and adjust your grocery shopping accordingly. If you're always pouring old milk down the drain, take note and choose a smaller carton next week. Similarly, if your crisper is always filled with limp carrots and shriveled spinach leaves, buy a smaller serving next time or consider freezing a portion. 3. And make a shopping list before every shop, after planning your meals for the week. If you walk into a grocery store with no idea what's going to be on the menu for the next few days, you're bound to walk out with at least five things you don't need — some of which will go bad before you get a chance to use them. 4. Don't be scared to buy the ugly fruit and vegetables, as they're most likely to be wasted. We all have a tendency to go for most perfectly shaped apple, prettiest onion, and smoothest orange. But unless the fruit is actually bruised — not just misshapen — it will probably taste the same as its more aesthetically pleasing friends. If you live in California, Oregon, Washington, or Illinois, you may be eligible to order Imperfect Produce, an online food service that delivers "ugly" produce at low prices. 5. Avoid peeling unless totally necessary, and don't be afraid to use stems in your recipes. 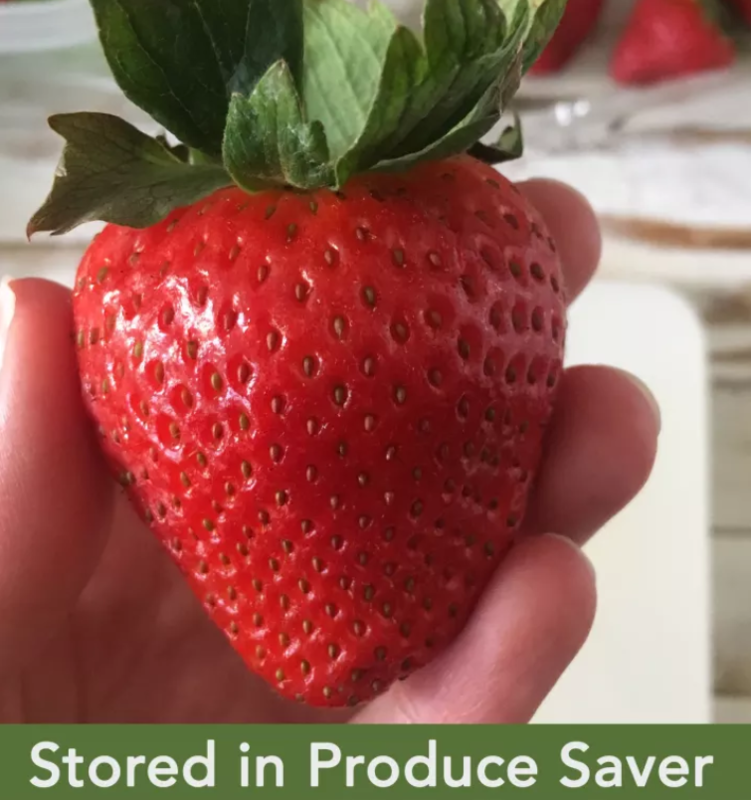 "Not peeling is a great way to get more out of your produce," writes Bea Johnson, author of Zero Waste Home. "But if you do peel the stem of broccoli (which usually gets discarded) you can add it to your recipe." I personally always use the stalk of my broccoli (minus the very end) in soups, curries, and stir-frys and have no idea why I haven't always been including it. 6. Avoid over-serving yourself food when eating at home. Restaurants have totally messed with our perceptions of serving size, often giving us way more than the recommended portions. By putting less food on your plate, you have the option of going back for more if you're still hungry and having un-touched leftovers to save if you're satisfied by your smaller serving. Once food is on your plate it's normally either eaten or thrown away, so dish out less and give yourself the option of serving more once you're done. 7. Find exciting and delicious new ways to re-purpose your leftovers. If you find that you're always sick of your leftovers and then avoid eating them, try cooking foods that can easily be repurposed into something new. For example, roasted and stir-fried vegetables can easily be added to salads or omelets. 8. And learn how long your leftovers actually last. If you're very conscious of how quickly leftovers can go bad, familiarizing yourself with food safety facts is a smart idea. For example, did you know it's normally safe to drink milk a day or two past its expiration date? 9. Regularly clean out your fridge and freezer so you know what food you have before you go buy more. If you have a well-stocked freezer, challenge yourself to make meals using stored ingredients for a week (if you can!) or adding in things from your fridge that are due to expire soon. My mom does this every few months and it's always incredible what she throws together — and how much freezer space she clears. 10. And have a pantry system that keeps your food staples organized and easy to access. Like a messy fridge, a disorganized pantry makes it hard to tell what food you already have and what you actually need. So, if you have the space, keep your food well displayed in air-tight containers that will keep out insects. 11. Invest in products that help your food stay fresh longer. 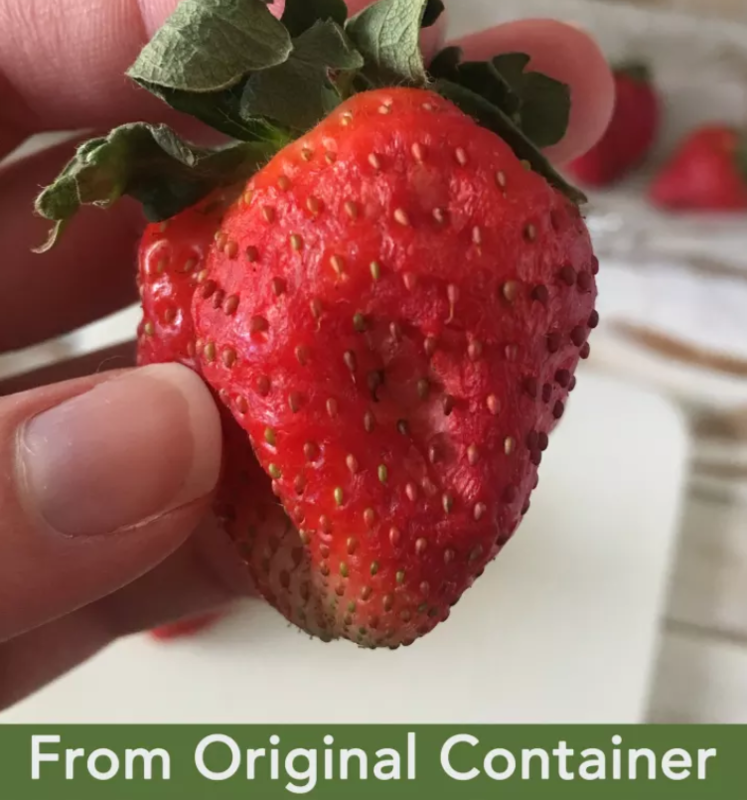 People are obsessed with these miracle plastic containers that can keep berries fresh for up to two weeks — we even tested them! For foods with a short lifespan, containers like these are worth the investment. Get my same set of two (one medium, one large) on Amazon for $14.99, a set of three (one medium, two large) for $24.58, or individually in various sizes for $5.66-$12.99. 12. Freeze your unused herbs in olive oil before they go bad and end up in the trash. Everyone knows the struggle of buying a whole bundle of fresh herbs, only to use a sprig or two in a recipe. Before I knew about this life-changing hack I'd watch my herbs wilt and wither away before I had a change to find another recipe that called for them. Now, I chop my fresh herbs, put them in an ice tray, and cover with oil. The end result is fresh portions of herbs ready to throw into the pan when needed. 13. Or try drying them to later grind and add to your cooking. Johnson recommends letting herbs dry indoors in small bundles. She also recommends drying celery leaves that can later be ground and mixed with salt to make a delicious celery salt you'll want to add to every savory dish you make. 14. Buy frozen fruit and vegetables if you always find yourself throwing away fresh produce. If you don't eat at home very often or only cook for yourself or a small family, it can be hard to justify buying fruit and vegetables when you know you probably won't eat them all before they go bad. Buying frozen allows you the freedom of using a handful of berries, broccoli, or peas at a time, without any waste. 15. Save your bone or vegetable scraps and make a nourishing stock or broth. If you regularly cook with meat, freeze and save bones until you have enough to make a tasty broth, like this toasted garlic beef one. The same goes with shrimp shells and heads, which can be used to make delicious seafood stock. If you're more likely to have vegetable scraps, save and freeze those to make into vegetable stock. 16. Or try and re-grow vegetables from scraps. Red onion, celery, romaine lettuce, and so many other vegetable scraps can be re-grown. The process for every vegetable is a little different but most start with a few days in water before being transferred to soil. 17. Bring stale bread back to life in the oven with a little added water. There's nothing better than fresh bread, but unfortunately, it doesn't always stay that way for long. Luckily, there's an easy hack that will freshen up a stale loaf. "Sprinkle water on a dry baguette and bake to revive it," Johnson writes. 18. And revive sad wilted lettuce in an ice water bath. Another clever recommendation from Johnson is to dunk old lettuce in an ice water bath to make it Day One fresh. Now, go make the most of these easy ways to save money and food (the two best things! ), while preventing a whole lot of unnecessary waste.